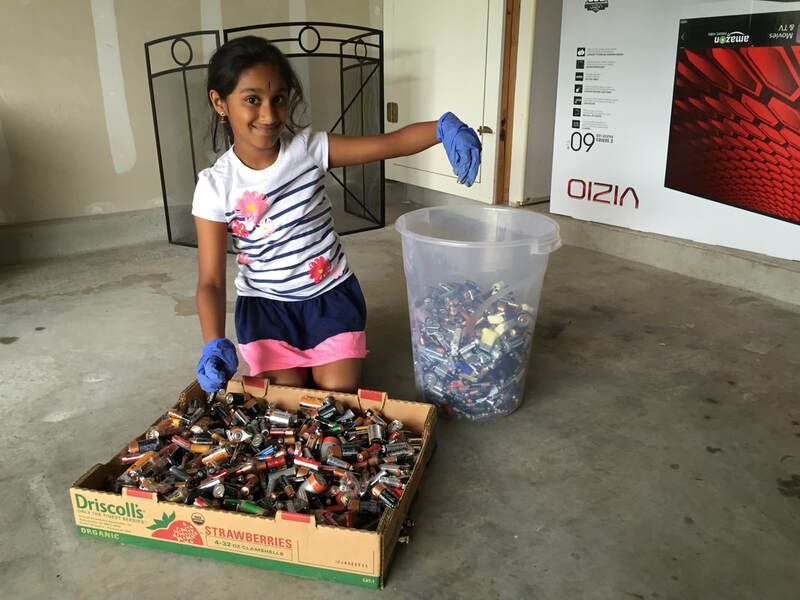 Batteries have chemicals and when we put them in the trash which goes to the landfill where it can contaminate the soil with toxic chemicals and heavy metals, which will eventually cause water and air pollution. 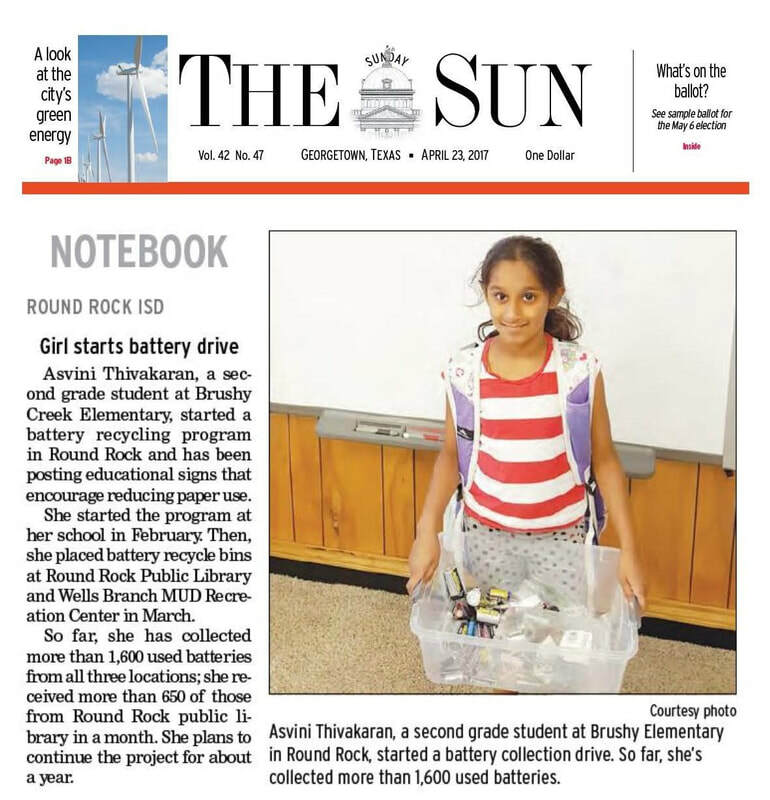 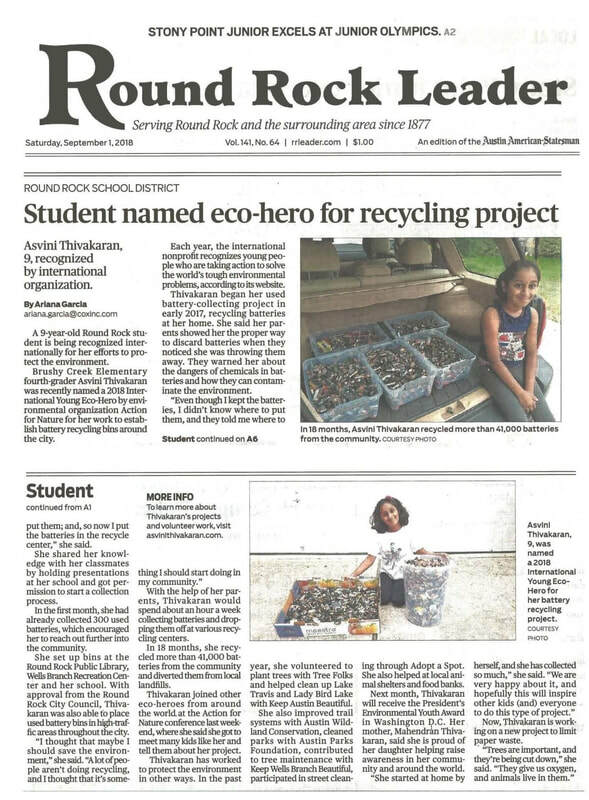 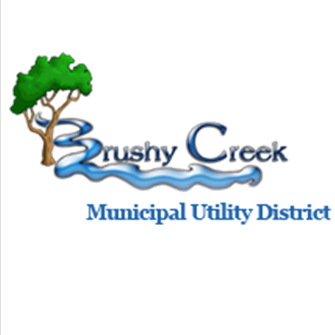 Collected over 50,000 batteries in twenty months from school, libraries and community centers. 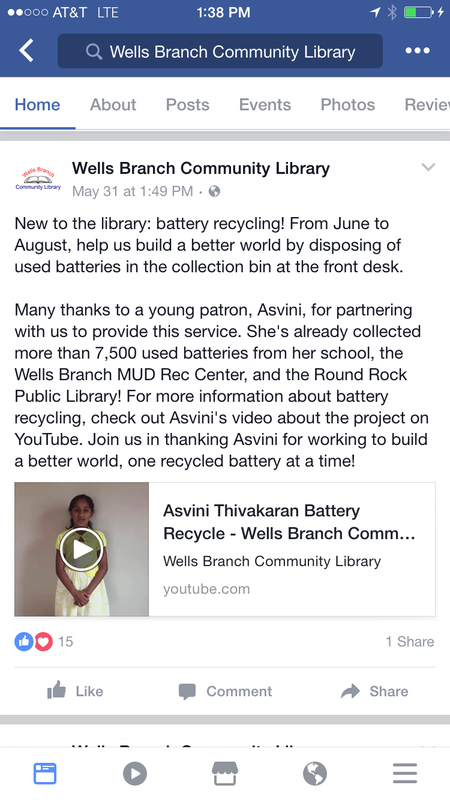 KVUE news about battery recycling - April 26th, 2017. 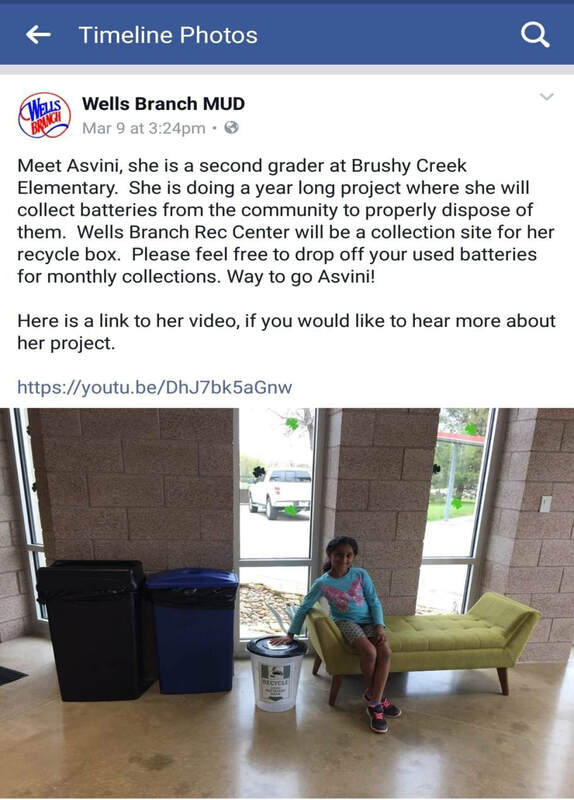 Presentation at the Round Rock City Council Meeting - October 12th, 2017. 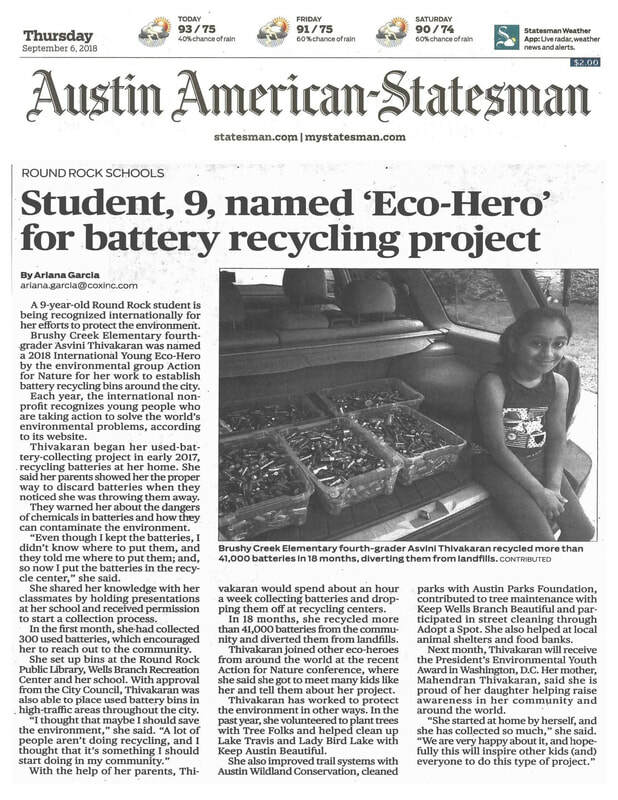 KXAN news about battery recycling - September 5th, 2018. 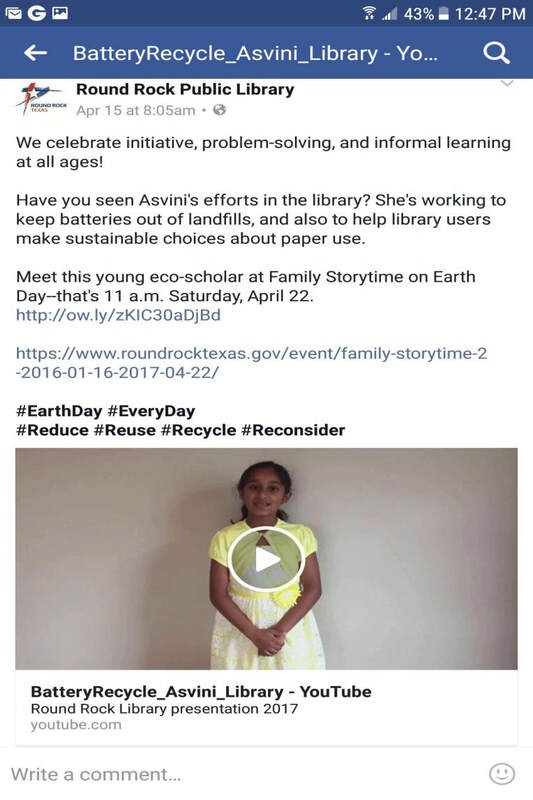 Video about battery recycling and reduce paper use awareness. 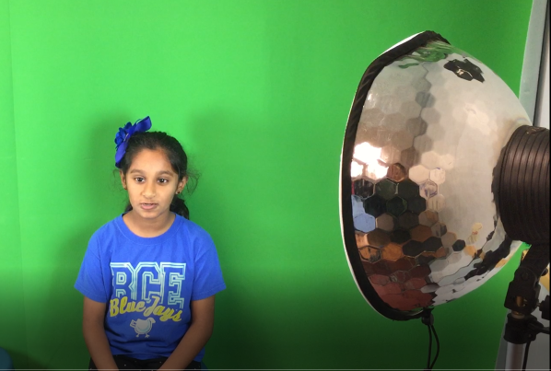 Blue Jay TV - Introducing battery recycle to the students. 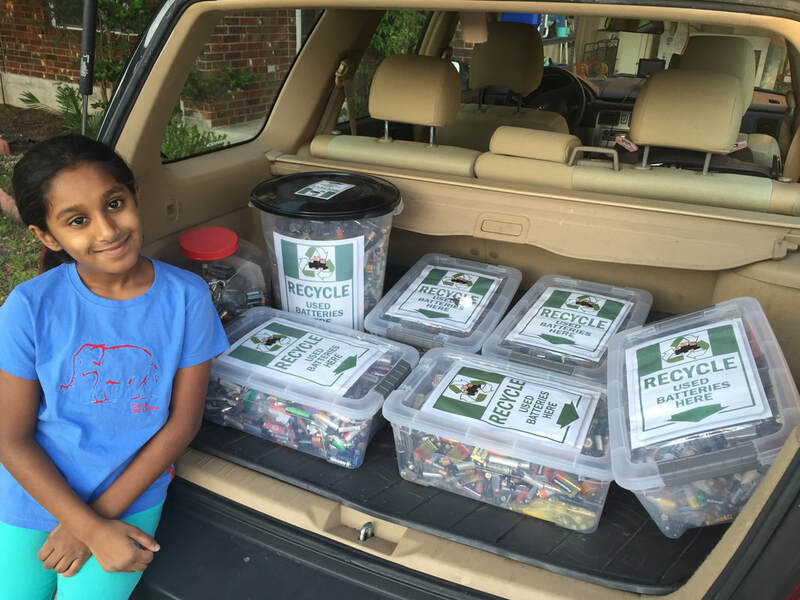 Environmental Day presentation about battery recycling and reduce paper use to the students at the day care. 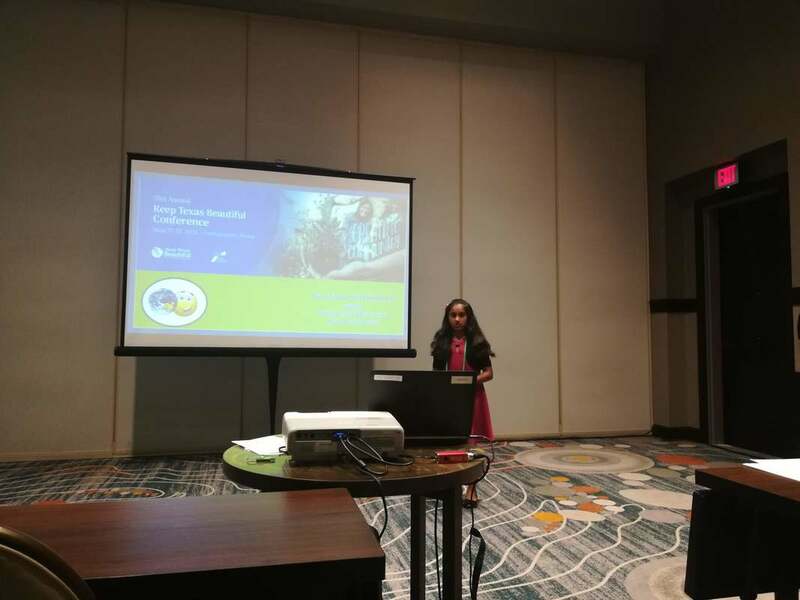 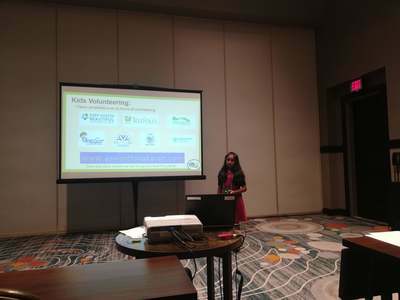 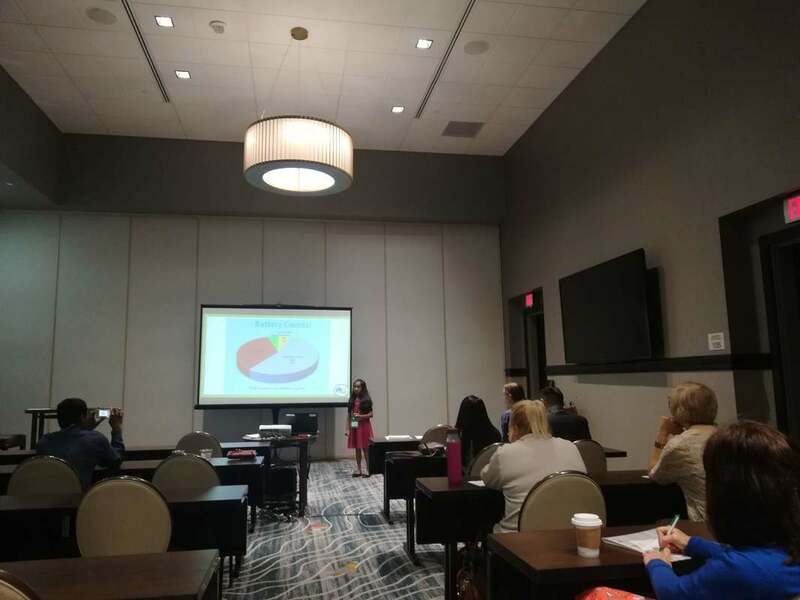 51st Annual Keep Texas Beautiful Conference Presentation.